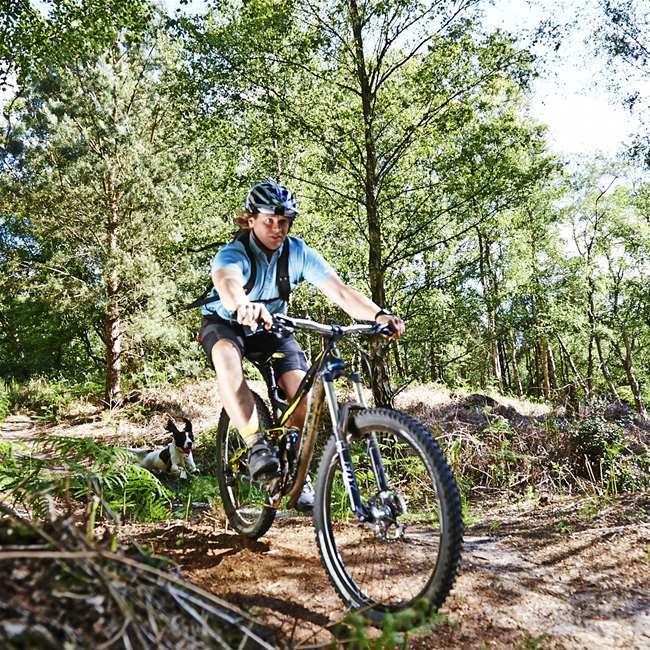 As an Area of Outstanding Natural Beauty and with many of Suffolk's coastal towns situated along National Cycling Networks, The Suffolk Coast offers year round cycling in Suffolk. We've put together a selection of routes and key information which will help all cyclists explore our beautiful coast and country on two wheels. 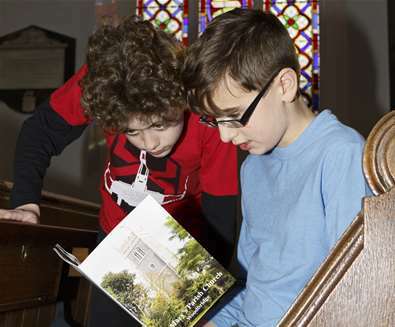 Of course, once you've decided on your route why not check out places to stop and eat, things to see and do along the way, and for those who want a real adventure places to stay en route, all our guides are searchable by town to make it extra easy to plan! These handy cycling explorer guides feature maps and information about what you might see on your journey - print the PDF and take it with you. 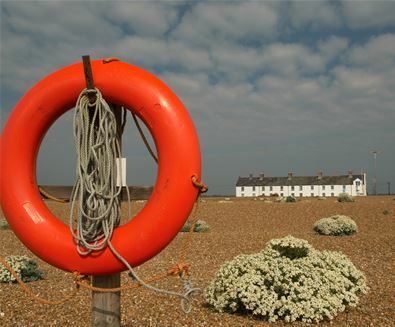 The route commences at Dunwich, and if you're planning an early start, breakfast at The Ship is sure to set you on your way. Serving traditional breakfast including local Blythburgh pork sausages, eggs, kippers and freshly made omelettes. 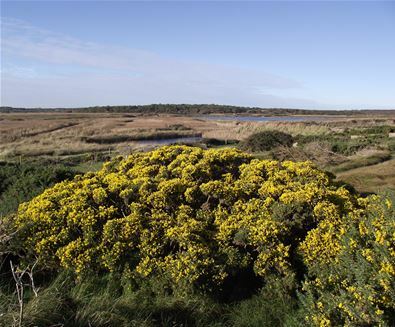 Upon arrival at Westleton, pop into The Westleton Crown for a pot of tea or lunch, before heading on to Minsmere to spot some of the UK's rarest wildlife. Carrying on to Greyfriars Priory, sit amongst the ruins for a perfect picnic spot, or continue back to Dunwich where an ice cream at the cafe on the beach awaits you. 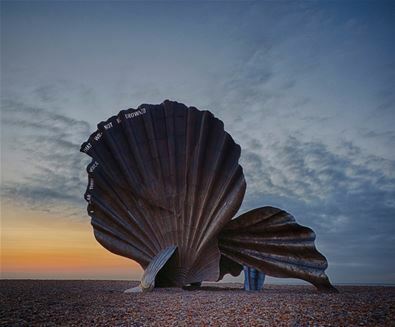 Starting at Snape Maltings, you're spoilt for choice for places to 'fill your boots'; Cafe 1885 serves an all-day brunch whilst the Granary Tea Shop serves teas, coffees and cakes. If a picnic is what you fancy, stop by the Fresh Food Pantry or Food Hall to pick up award-winning local produce that you can nibble along the way. After a quick snack stop and wander around St Botolph's Church, continue on to Orford. After exploring the castle, make your way to the quay for a picnic or visit the Crown and Castle where lunch dishes include Home-potted brown shrimps and Pump Street granary toast and Orford-landed skate, sautéed grapes & almonds, spinach and new potatoes. 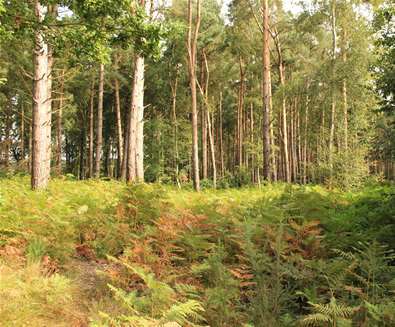 When exploring The Suffolk Coast by bike, you will more than likely come across a river or stream. Thanks to the Foot Ferries in Walberswick, Butley, Bawdsey and Harwich though, your cycle ride needn't come to an end! Every year, the ferries enable hundreds of walkers and cyclists to explore the region, and it's estimated that by taking the four ferries, you save over 75 miles of travel on the roads. Find out when the fabulous foot ferries along the coast are running and plan your next adventure! Download Suffolk cycle route maps here. You will also find information on the Bike & Go hire scheme that Abellio Greater Anglia operate from train stations and Suffolk County Council’s cycle strategy. Click here to find a selection of leisure cycle routes including churches, copses and country lanes, a painter's trail and a brewery tour, plus many more. These routes are generally off-road or along quiet roads. The network is managed by Sustrans, the national sustainable transport charity. Cycle Route 51 goes west/east, travelling from Cambridge to Felixstowe. 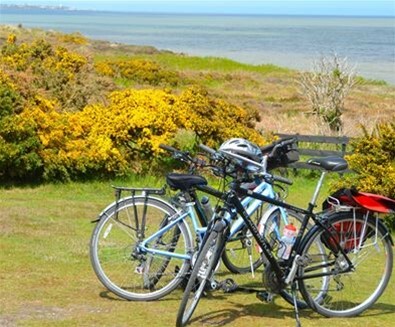 Why not try a supported, gentle cycling holiday along the Suffolk Coast? Cycle Breaks are specialists in self-guided cycling holidays and bike tours. They will arrange your accommodation, luggage transportation, quality bike hire (or bring your own), along with delightful routes along quiet country lanes and mechanical assistance on call to give you peace of mind. Or if you'd like to hire bikes during your visit then make sure you get in touch with Southwold Cycle Hire, they'll cater for the whole family!